Vinayagamoorthy Muralitharan alias Karuna Amman, who was Special Commander of the Liberation Tigers of Tamil Eelam (LTTE) in Batticaloa and Ampara districts, says that the rift between him and LTTE leader Velupillai Prabhakaran took place in December 2002 when the Tiger chief accused him of “betrayal” of the kind Mahendrarajah alias Mahattaya was accused of in the early 1990s. At a stormy LTTE Central Committee meeting at Kilinochchi later in December, Karuna owned that he persuaded a reluctant Balasingham to accept the Norwegian government’s draft declaration while other members of the LTTE delegation were either non-committal or suggested consultation with Prabhakaran before signing. 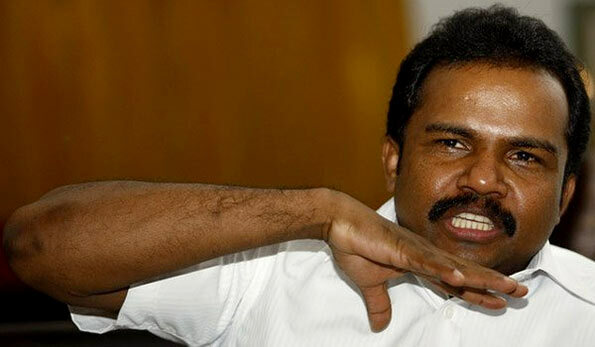 Defending his action, Karuna said that he supported the signing of the Declaration only to “save the Liberation Tigers of Tamil Eelam from isolation” by the international community which had become hostile to armed movements following the September 11, 2001, terrorist attack in New York. “Prabhakaran was a good man, but he had no knowledge of globalization,” Karuna told the Indian Express. “However, the real sting was in Prabhakaran’s charge that I had betrayed him as Mahattaya (his Deputy) did earlier. This hurt me deeply, because unlike Mahattaya, who was planning to kill Prabhakaran, I was only trying to save him and the Liberation Tigers of Tamil Eelam,” Karuna said. Sensing trouble, Karuna asked the European ceasefire monitors to urgently send a helicopter to fly him to his base in Batticaloa. “Once in Batticaloa, I refused to answer summons to come to Kilinochchi, knowing full well what would happen if I did,” Karuna told Express.